The Arch dedicated to Titus is in the Forum at Rome, located at the highest point of the Via Sacra. It was on this street that most of the religious processions took place. Arch of Titus, located in Forum of Ancient Rome. Photo by Nancy Picogna. The arch was built to commemorate the Roman defeat of Judea, including the destruction of Jerusalem and its Temple. 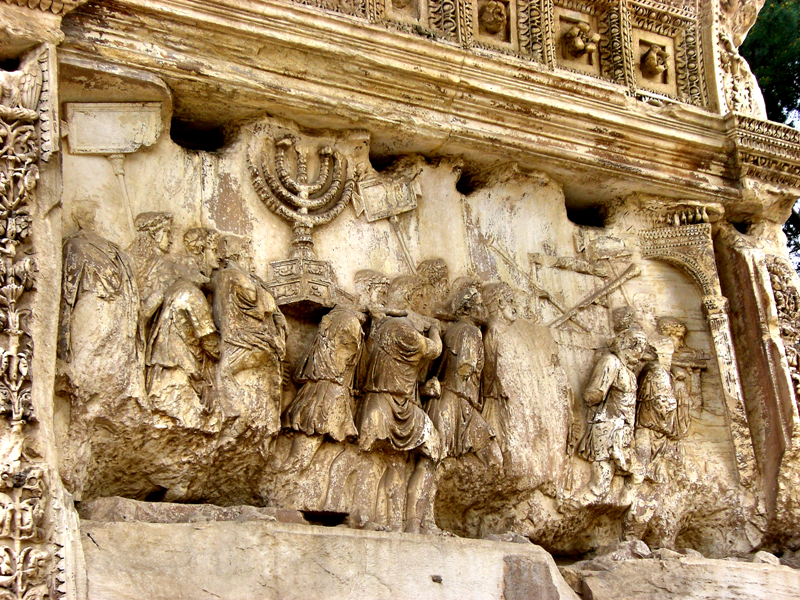 Inside the arch, one side depicts the Roman soldiers removing the menorah, table of showbread and silver trumpets from the temple as it was destroyed in AD 70. Vespasian was Emperor and Titus was the commander of the Roman army at that time. 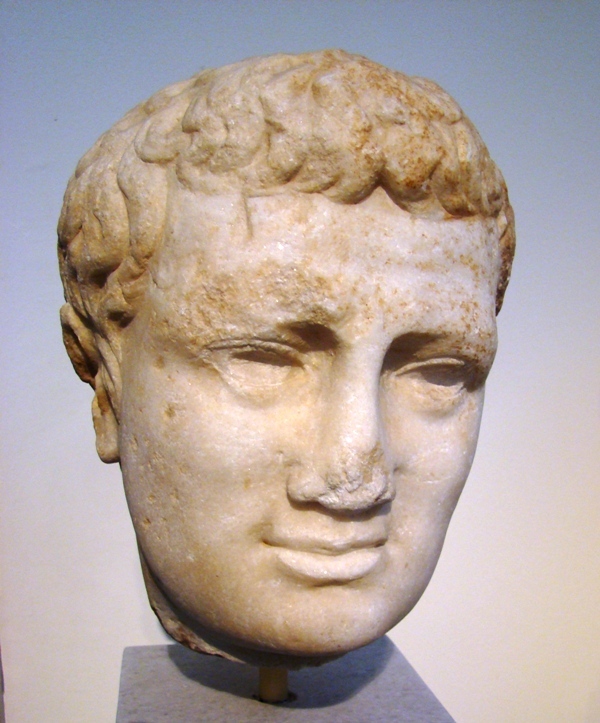 Titus was Emperor AD 79-81. After Titus’ death, the arch was constructed ca.AD 81 by Titus’ brother, the new Emperor Domitian. Emperor Titus, AD 79-81. Photo by Leon Mauldin. This entry was posted on Saturday, March 3rd, 2012 at 8:41 PM and is filed under Bible History and Geography, Bible Study, Italy, New Testament, Roman Empire, Uncategorized. You can follow any responses to this entry through the RSS 2.0 feed. You can leave a response, or trackback from your own site. Hey Leon, just came across your blog since I quoted you on my post today. I like the pics. Glad you’ve had a safe and productive trip. here’s a link to the post where I quoted you. Hi Ken. Thanks for your note.